Are Leaders born or made? What is charisma? What is your Leadership style? People leave managers not companies …. Research has proven that the success of any business depends on how effective management are in leading and developing their teams. 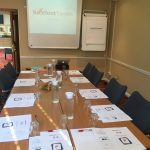 At Barefoot Trainers, we offer a unique combination of real industry experience gained in senior management roles with a passion for developing people. 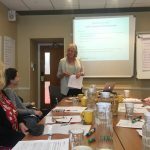 We work actively with organisations to design and deliver personalised training and coaching programmes that introduce managers to the tools and techniques that will build their confidence in the workplace and create high performing teams that work effectively together to deliver real results. Louise Turner held a Team Workshop for Professional Development with UK2learn, which included myself and seven members of my team. The day consisted of workshops, individual work, small group work and whole team challenges. Working from questionnaires we had all completed prior to the day and in consultation with me, Louise was able to tailor-make a workshop that both inspired and engaged us all. Moving forward we have used the ideas and knowledge gained on that day to implement changes within our company in order to be more productive and efficient. We have allocated clear roles and responsibilities to key members of the team and using this strategy, work is no longer duplicated or worse still, not completed. We have regular team meetings to ensure all members are included in the day-to-day running of the business and use an online planning calendar to mark all appointments and events. For the future, we have plans to re-design the office in order to use the space more efficiently – but that might take some time! I certainly feel that the day was a very worthwhile and helpful exercise.